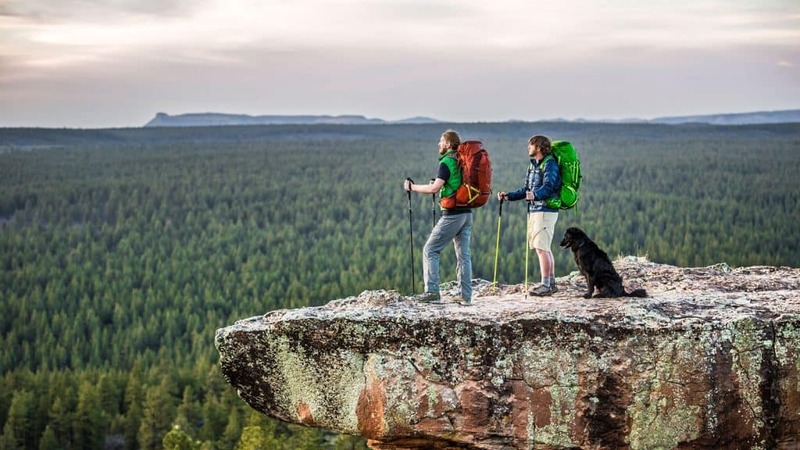 » Osprey Atmos vs Aether: Which Backpack is Right for You? Osprey Atmos vs Aether: Which Backpack is Right for You? Whenever you decide to go traveling, the biggest thing that you are worried about is packing. Let’s face it, booking tickets, finding good places to stay, creating an itinerary has all become very simple, thanks to the Internet. Information is easy to find, and it’s easy to get organized. However, choosing the right pack to carry all your belongings remains a challenge. There are airline regulations to adhere to, and then there is your own comfort, and there is a fashion statement to make as well, and all this while ensuring that you don’t end up with a piece of luggage that is left in pieces while you make the dash through the airport to catch a flight. Whenever you go on an outdoor adventure like hiking, camping or trekking, the challenges are even bigger. You can’t carry too much luggage, and the one pack that you carry must be able to take care of all your needs. When you go on trips that involve staying in hotels, not transporting your luggage too often, it is practical to carry a suitcase, especially if it comes with a good set of wheels to pull it around, and a sturdy handle to lug it where necessary. However, a backpack makes more sense when you venture into the outdoors. There are people who swear by backpacks even when they go on luxury and leisure trips. The biggest advantage of a backpack is that there is no need to stop and carry it around in your hand. A good backpack with sturdy and comfortable shoulder straps makes it easy to carry it around. There is no need to pick the backup up when you encounter stairs or escalators. You can keep walking with it. Your hands are free to navigate on a phone, read a map, play your music, eat and drink etc. There is no irritating noise when you walk on the cobbled footpath. With suitcases that come with wheels, the noise it makes while dragging it around can be irksome. Backpacks are generally very sturdy, and they fall in the category of soft luggage. Unlike suitcases, there is no danger of it breaking when it falls or gets thrown around by airline baggage handlers. Backpacks fit into overhead compartments of flights much more easily, and the chances of being asked to check in a backpack are very slim when compared to a suitcase. What are the different types of backpacks available? What are the qualities to look for in a backpack? What are the materials used for a backpack? What are the metrics used to measure the strength of the materials used in backpacks? How to pack a backpack for a trip? Daypacks are go-to bags for any kind of activity, starting from a walk in the city to grocery shopping to small hikes and other outdoor adventures. These are suitable to carry a few items, water a few clothing etc. Daypacks that are customized for activities are also available. For example, a climbing daypack will have hoops and clips on the exterior to allow carrying equipment like rope and helmet easily. Hydration packs allow us to carry water easily by distributing the weight evenly. These backpacks are again customized according to the activity, such as running or cycling. 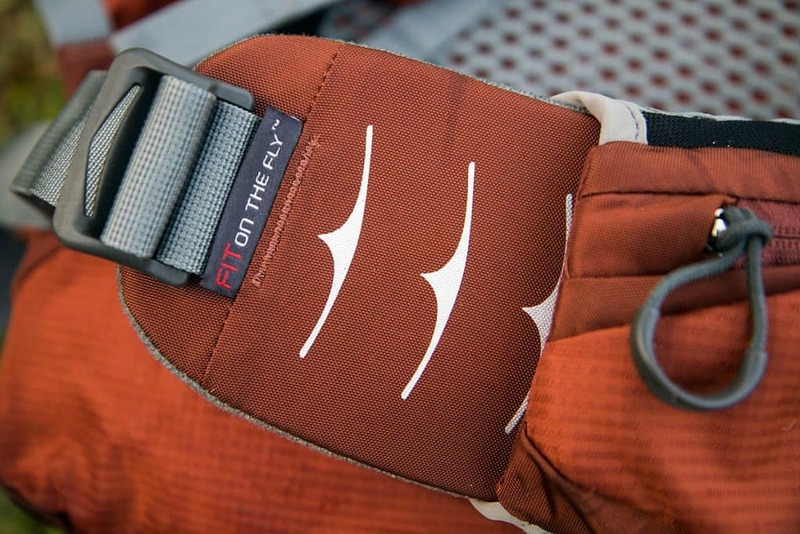 The fit of the backpack depends on the activity that is being performed. 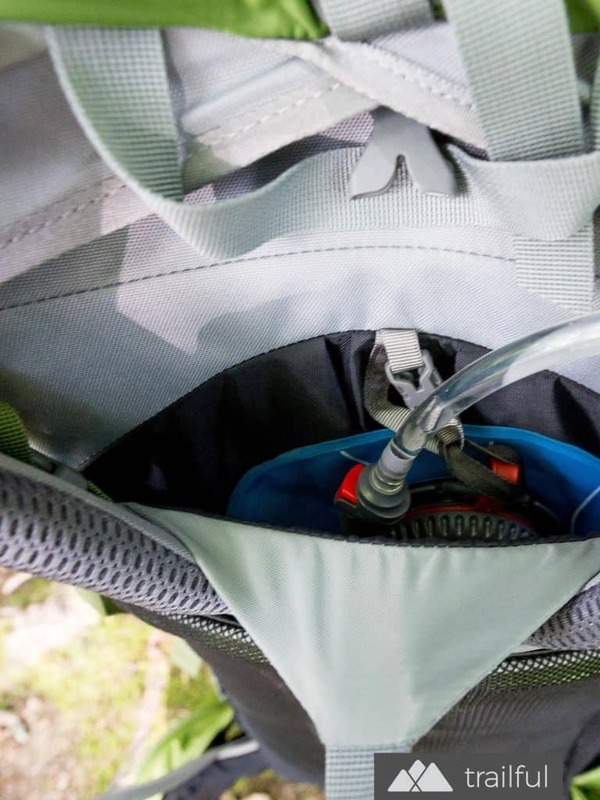 Hydration backpack has pipes and nozzles that run close to the mouth to allow for easy sipping of water. It takes away the whole pain of pulling out a water bottle and drinking out of it in midst of an activity. It becomes especially convenient because you don’t have to stop just to drink water. A hydration backpack may have small compartments to keep things like keys, cell phones etc. These are large backpacks that can be used to carry a good amount of luggage. These are especially suitable for carrying large and heavy loads. Overnight backpacks are also customized to the activity that they are used for. There are backpacks meant specifically for hiking, others for trekking, and esoteric packs such as those meant for adventures in the snow. They come with a variety of features like packable daypacks, many compartments, various fits that are suitable for the activity that is being done, different waterproofing technologies etc. Overnight backpacks can be versatile enough to take on a normal travel or an outdoor adventure. There are other kinds of backpacks, such as a day pack, which can is completely waterproof and can keep things dry in pouring weather. A packable backpack is something that can be used inside an overnight backpack so that it can be extracted separately and used separately. An overnight backpack is not going to suit a cycling adventure, and a daypack without waterproofing capacity is going to be of no use when you are going to hike in a rainstorm. Therefore, the kind of backpack that you are going to carry should be suitable for the activity you are going to perform. It goes without a saying that backpacks must be durable. The shoulder straps must be able to withstand the weight that the bag is going to carry. The zippers will have to be durable enough to hold in all the things and not give up with just a few times of opening and closing. The stitches should be sturdy enough and not rip during the trip. Look for backpacks with high durability. The material of the backpack should be able to withstand abrasion that can come from hiking or walk in the wilderness. It should be easy to spot a weak one just by looking at the quality of the thread used for stitching, the zipper quality and the thickness of the material. A backpack must be as waterproof as possible. While there are drypacks, whose sole purpose in life is to keep things inside dry, other backpacks should also be waterproof. Choose a backpack with multiple pockets. It makes it easier to store and retrieve things when there are multiple pockets. A lot of backpacks come with special pockets with a definite purpose, such as holding keys, holding cell phones, holding clothes, holding sleeping bags, side pockets for shoes etc.Having a backpack with all these pockets makes it easier to organize, especially if you are going on a multi-day trip. A backpack rests on the body, and not having enough padding can result in abrasions and pain in the parts where it is in contact. Therefore, having the right amount of padding becomes extremely important. When there is a lot of weight added to the backpack, it becomes even more important to have the right amount of padding. Look for backpacks that have a good amount of padding in the shoulder straps, and well as the back area, since these are the parts that are in most contact with the backpack. In addition to the padding, having a lumbar shaped support for the back makes the backpack, even more, easier and comfortable to carry. Frames are metal rods that give shape to the backpack. It is always wise to buy a backpack with an internal frame, where the rods are hidden and stitched into the fabric. External frames are exposed and can get caught and tangled while hiking. External frames are also extremely uncomfortable as they dig into the skin when they are carried. Activity/ Purpose for which the backpack is going to be used. Backpack owner’s height and girth. The number of days the trip is going to last. Amount of luggage to be carried. A backpack is meant to carry weight, which means that the bag itself should not be too heavy. Look for backpacks that are lightweight, but rugged and durable. Price can be an important consideration while trying to buy a backpack. A good backpack can cost anywhere between $100-$300. At this price, it is possible to purchase backpacks which are durable and long-lasting. Backpacks are made of a variety of materials. Cotton-based fabrics are quite outdated now. Earlier, the bags were made of Cotton Canvas, with a coating of wax to make it waterproof. These bags were quite heavy, and not quite water-resistant, despite the waterproof coating. If they were not dried properly before storing them, then there is a chance of the bag throwing bad odor and developing mould and mildew. Cotton-based bags are almost non-existent these days. The few that are still available are blended with other materials, but they are not as waterproof as we would like them to be. Nylon has become a standard with backpacks. While nylon is the name used for the material, there are many brands and variants that are marketed as separately. 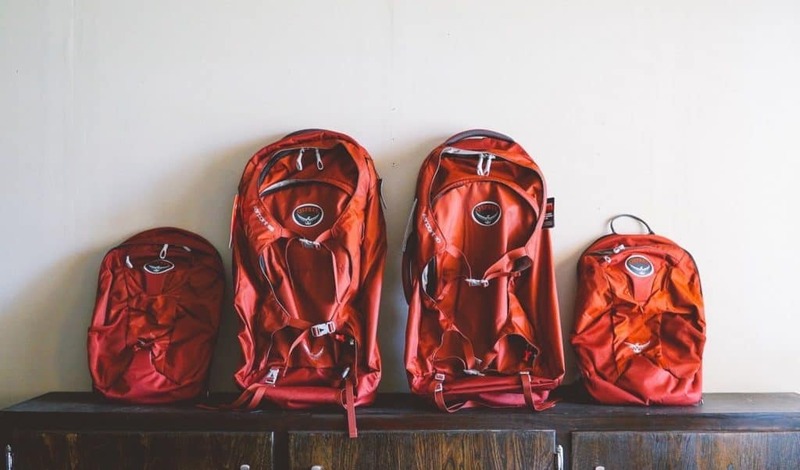 The most common names that one can hear while purchasing a backpack is “Ripstop”, which has stitches integrated into the nylon fabric to stop ripping and puncturing of the fabric and to make it resistant to abrasion. Another common brand used is “Cordura”, “Kodra” and “Ballistic”. All of these are variants of nylon, and they are built to make backpacks durable and resistant to tearing and abrasion. Polyester is another material used for making backpacks. However, it is not as durable a nylon. The advantage of polyester is that it is lighter, and it is easy to mould and stitch. It also holds colors very well. Polyester backpacks are mostly used for light applications like regular usage in urban areas, like school bags etc. They do not hold weight very well, as they can rip easily and are not too resistant to abrasion. The higher these numbers, the better is the quality of the backpack. Woven – This is when the threads of the material are woven together to form a durable pattern. The threads are not glued, but they are tied together. Non-Woven – The threads of the fabric are glued together to make a fabric. As a rule, woven materials are always more durable as compared to non-woven ones. Woven fabrics are more durable and resistant to tearing and abrasion. Backpacks come in various sizes. They are measured both in T-Shirt Sizes (XS, S, M, L) as well as in liters. To purchase a backpack which is marked as (XS, S, M/Regular, L/Tall), you will need to measure the length of the torso. The length of the torso can be measured by starting out from the base of the neck to the top of the hips, as shown in the picture (see the dotted line). Based on the number of nights that you will be traveling, you can choose the appropriate size. When the size of the backpack is measured in liters, it indicates the volume of the bag. More the volume, more the items that can fit into it. While the torso length and the number of days of travel only serve as parameters on which you can base the size, the backpacks themselves provide features that can help in adjusting the size, so that it becomes easier to carry them. Most backpacks come equipped with adjustable shoulder straps. You can pull on the straps to make it tighter. The tighter the shoulder straps are, the more the bag is lifted on to the body, pulling it away from your legs. In addition to the shoulder straps, there is also a load lifter strap, which is placed right above the shoulder strap, which must be adjusted at an angle of 45 degrees from the body. By doing so, the weight is removed from the shoulders. Hip belts can be used to adjust the backpack, such that the weight is on the hips and not on the shoulders. When the hip belts are tightened, the backpack moves closer to the body and the weight is distributed on the hips. Sternum straps can be used to secure the backpack, by strapping it across the chest. A sternum strap should be tight enough to secure the backpack, but it should not be too tight to feel discomfort. While adjusting a backpack and carrying it, you should always be careful to not allow the weight to rest on the shoulder. Instead, the weight should be distributed across the back and the hips. Allowing the weight to rest on the shoulder will cause the shoulders to slump forward, resulting in a lot of pain because of hunched shoulders. After any trip, it is important to clean the backpack, so that it retains its look and usefulness. The most important thing to do is to follow the manufacturer’s advice on cleaning the backpack. However, here are a few tips on cleaning the backpack without causing damage to it. Never put a backpack into a washing machine or a dryer. After the trip, empty out the backpack completely before cleaning it. Never use harsh detergents on the backpacks. Using mild detergents or just plain water should be sufficient to clean the backpack. Stains can be removed using a mild detergent and scrubbing it with a sponge brush. Using a harder brush will cause abrasion and may lead to a tear in the backpack. If the backpack is smelling a lot, consider turning it inside out and vacuuming it thoroughly, especially at the stitches and the seams. This can remove any build-up of dirt, dust, mold, and mildew. After vacuuming it, use a mild detergent solution and a sponge brush to clean both the interiors and the exteriors of the bag. After cleaning with the mild detergent solution, rinse the bag with normal water to remove the soap. Make sure that you dry the backpack thoroughly before storing it. The backpack must never be put into the dryer, instead, hang it dry on a cloth line, preferably inside-out, so that it dries thoroughly. Before storing the backpack, turn it around correctly and hang it in the right order to maintain its pre-wash shape and to remove any wrinkles. Store it the way it is recommended by manufacturers, either in its own storage bag or something else. Make sure that the backpack is stored away from sharp objects, or any other thing that can cause it to tear. Make sure to bring out the backpack from storage occasionally and use it lightly. This will make sure that there are no creases and rips at places where it may have been folded. 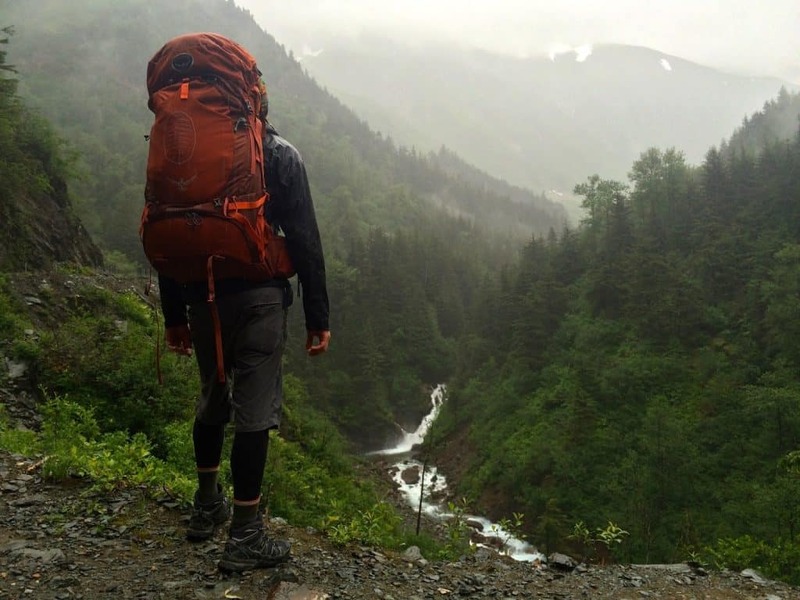 After purchasing a backpack that fits your size, budget and activity type, it is important to make sure that it is packed correctly, so that things that you will want are easily accessible, and you don’t end up emptying your backpack in middle of hiking trail, just because you were not able to find your earphones. Use smaller sized pockets in front of the backpack to keep small essential things like first-aid kits, keys, earphones, electronics, mints and gums, small change and other odds and ends. 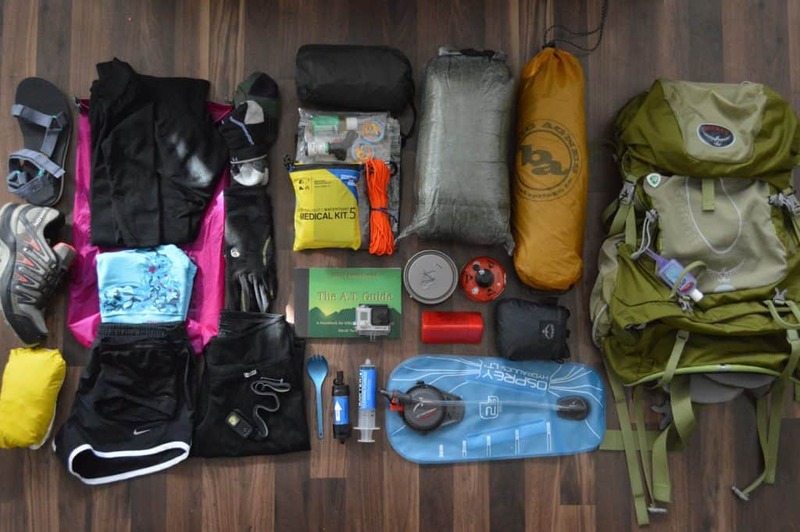 Before starting to pack the bag, lay out all the items that you want to carry. Once the items are laid out, double check if you will really need some of those things and are there any alternatives that you can use. Always use travel size packs for toiletries. This can save both space and can reduce the amount of weight you will be carrying. Make sure that you are carrying the right number and kind of clothing. It makes no sense to carry a heavy jacket to a sweltering hot place. Once you have decided what and how much to carry, it is always a good idea to layer your stuff in the backpack in such a way that most frequently used items are on the top and easily accessible, and things that you won’t be using too often is at the bottom. Things that you would only need at the camp or at the place that you are going to stay can go to the absolute bottom of the backpack. These include bulky items like rations, stove, camping gear etc. Your personal belongings and things that you may require on the trail or during travel go into the next layer. This includes things like clothes, toiletries etc. The top layer can have things that you will require regularly, like light snacks, water, layering clothes like jackets. Pockets outside the main backpack can hold things like personal electronics and money. Hooks and hoops outside the backpack can be used to hold tools and equipment. Once the backpack is packed, make sure that you hoist it to your back easily and slowly, to avoid injuring yourself. As a rule, try to keep your backpack as light as possible, without compromising on the number of supplies. If necessary, change the containers for the supplies to use more lightweight ones. Examples can be swapping out boxes for Ziploc covers, and taking reduced quantities suitable for the number of days you will be traveling, instead of big packs purchased at stores. Both Atmos and Aether are best in class backpacks. They are both top of the line products, and the quality of both is on par. The material used in Atmos is slightly better than the one in Aether. It is more durable and resistant to tear. The Atmos is slightly bigger than Aether, though not by much (difference of just 5L), it can make a lot of difference when there are several small items to be packed in. Both the models allow access of the bottom layers through zips at the back.The major difference, however, is in the harness system of the two bags. While Atmos has an adjustable hip harness, with an additional extender that can accommodate six more inches when compared to Aether. Atmos scores very well in terms of the adjustability factor. There is a mesh at the back, which allows air to flow between your back and the backpack, which makes it highly comfortable by allowing ventilation. Aether is better padded at the hips and back. However, this additional padding has taken away the ventilation that Atmos provides. Another key distinguishable feature between Atmos and Aether is the presence of removable daypack in the Aether. 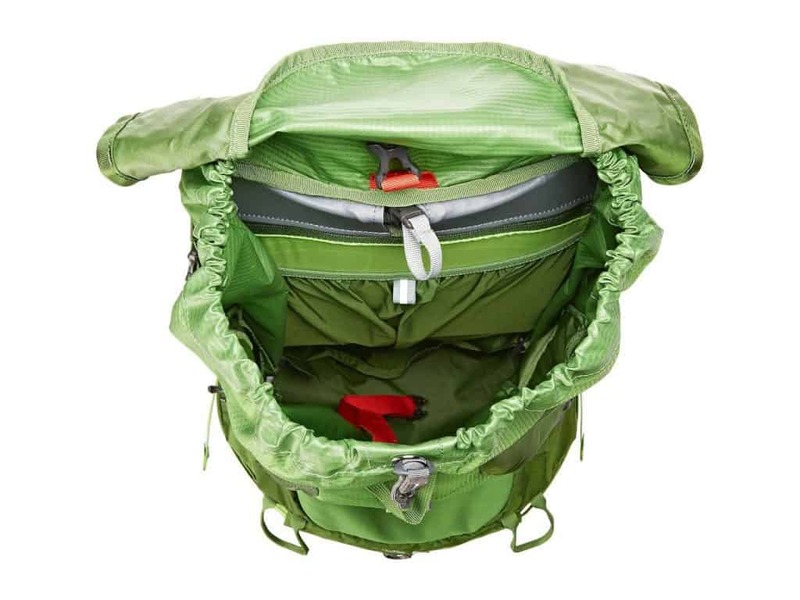 This daypack can be removed and reattached as required. Having this ability allows one to reduce the weight of the backpack when needed and it is always nice to keep a day pack around! The Atmos comes with additional hooks that can be used to attach a day pack which can be purchased separately. Atmos most certainly weighs less than Aether while having a larger carrying capacity. Aether has a good side pocket which makes it favorable for carrying small things like light snacks or earphones, without having to dig through the whole backpack. Outside Material 100D and 630D Nylon Dobby. This is much denser and resistant material 100D and 500D Nylon Dobby. Good tear resistance, but not as much as Atmos. Atmos tends to be slightly more expensive when compared to Aether, offers more durability, capacity and is more lightweight as compared to Aether. Making it worth the cash and our pick when deciding between the two! The Aether cannot be discounted as a great backpack. Both of them score very well in a lot of departments, and in the end, it comes down to personal preference. Utilize the information given in this article to decide which pack is best for your next adventure!